SCRATCHING THE DOOR highlights tracks recorded by The Flaming Lips’ original line-up, which featured Wayne Coyne’s brother Mark on vocals. 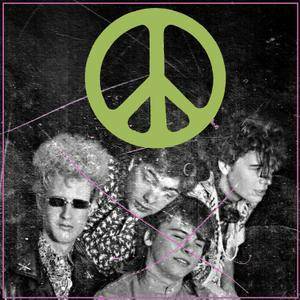 The album includes the band’s first and second cassette demos, in addition to The Flaming Lips first self-released EP, and marks the first time all of these recordings have been collected together on a single release. Among the other featured tracks are covers of The Who’s “Anyway, Anyhow, Anywhere,” Led Zeppelin’s “Communication Breakdown” and the theme song from the 1960’s Batman television series, which previously appeared on Rykodisc’s 2002 compilation, Finally The Punk Rockers Are Taking Acid. Thanks to the Original ripper lemmy !